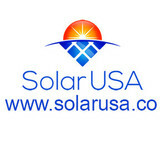 Regional Solar & renewable Energy company. Provide solar for home owners and businesses across the southeast. The Solar Energy USA mission is to help homeowners and businesses become energy independent through energy efficiency measures and energy production using solar power. 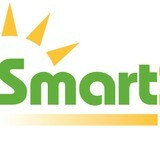 A national network of solar integrators. We are headquartered in Alpharetta, Georgia just north of Atlanta. We are proud to be Georgia's number 1 residential solar installer! Net Zero USA provides energy efficient home improvements for your home, helping you to save money and become energy-independent. Net Zero USA offers a wide range of home improvement products and installation, including energy efficient replacement windows, spray foam attic insulation, solar powered attic ventilation fans, photovoltaic (pv) solar panels, solar thermal heating systems, and electric vehicle charge stations for powering your electric car and refueling with solar energy. Smart Sun Energy provides Home and Business owners with exceptional solar installations, which drastically reduces your electricity bill and helps clean the air. Solar is now more affordable than ever with Federal and State ITC programs and funding available the time is now to go green! You may have the option to switch to a competing supplier who can offer the lowest price on electricity, gas or provide specific services such as green/renewable energy. Southern View Energy is a leading solar installation company licensed to serve Georgia and North Carolina. We are proud to provide our services to residential, industrial, commercial and agricultural clients. Offering renewable energy as an economic efficiency solution is our specialty. Contact us at 770-560-9921, to learn more about how our products and services will help you save money. Let’s say you want a solar electric system for your home. An off-grid system basically consists of solar panels and battery banks. These battery banks store the sun’s energy so you can use electricity at night or on a cloudy day. This system is designed to keep household electricity running for about two or three cloudy days; longer cloudy periods require a backup generator. To install an off-grid system, you’ll want to hire a certified Georgia solar energy contractor. Along with off-grid solar, wind and hybrid energy systems that include batteries and backup generators, there are also grid-tied solar and wind operations. Grid-tied systems are attached to your Chamblee, GA utility company so if you produce more energy than you use, your meter goes down and you build up energy credits. Can you give me any information on Georgia solar rebate programs? 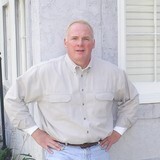 Find solar energy contractors in Chamblee, GA on Houzz. Search the Professionals section for Chamblee, GA solar energy contractors or browse Chamblee, GA photos of completed installations and look for the solar energy contractor’s contact information.